While I support librarians and authors on saying No to the age-banding issue, just for sorting-and-searching purposes, I do add age range labels here. Kids read at their own comfortable levels-- some are reluctant readers, some are avid readers, so, the age labels here are not associated with reading proficiency but is there to help sift through the ton of books. And, rather than "review" per se, my book posts here are more of a cheer-leading effort to champion some favorites, share some titles that made an impact, and to list any surprise finds. Anyway, over the last few months, the eight year old has been open to a handful of series books for one reason or another that I'd rather not subject to my armchair analysis. Without further ado, and in no particular order, here are some interesting reads for kiddos with widely varying reading preferences. I loved Kate Messner's picture books Up in the Garden, Down in the Dirt, as well as Over and Under the Snow. We tried Marty McGuire chapter book series but it didn't resonate with the then seven year old, but I was not ready to give up. So, we tried Ranger in Time series - the first book is about the Oregon Trail, which is always a fascinating topic at home. We've read the first three books so far, each set around a different historical event. Ranger is a sweet dog who accidentally finds a teleporting time-traveling machine in the form of a First Aid Kit. When it hums and glows, Ranger nudges it onto his neck and as soon as he wears it, he is transported to a time a place other than his own where is services are much needed: He is a trained Search-and-Rescue dog! The kid and I liked that Ranger is not anthropomorphic-- thankfully-- so he is not a talking dog. But we get to know him better as the story is told from his perspective. His thoughts and actions, while quite human, also stays true to his canine nature and instincts. What's not to love about this series? Quick and easy read, with quite an interesting mix of mice characters and settings that promise a fantastic adventure. It did irritate the kid that words like "fabumouse" (fabulous) and "famouse" (famous) is used to add to the theme of mice living in Mouse Island, and it did initially bother him that strange fonts in various colors caught the eye to distract rather than enhance the reading experience, but, the stories and the situations were well done that he quickly got over his nagging objections. There's a ton of books in this series, with more coming out in a steady stream, I believe. Plus, there's spin-offs with Thea Stilton books and Space Mice and Cave Mice and such. A long-standing staple, the series takes the brother-and-sister duo on mini adventures to various times and places. 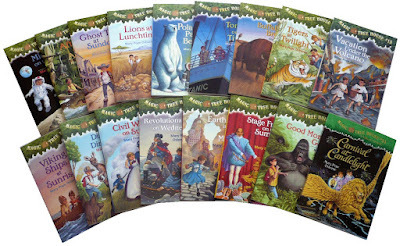 The older child went through most of these books around kindergarten and first grade. As always, the young resident reader's main objection has been: How come their parents don't know about it? And why aren't they telling their parents all about it and asking for permission first? Of course, magic only works a certain way, so all such details can be explained away, am sure. Hamster Humphrey and the kids of Room 26 seem to have great dynamics. When Ms.Mac brings Humphrey home from Pet-O-Rama, he was all set to bond with her and spend the rest of his life with her, But, Ms.Mac was only substituting in Room 26. When Mrs. Brisbane comes back to teach Room 26, Humphrey is heartbroken to see Ms.Mac go, and be stuck with Mrs.Brisbane who calls him a rodent and doesn't care for him much. As the first book progresses, we see that Humphrey is neither saccharine nor sassy. He makes his keen observations and shares his goodness without being too cloying. There are quite a number of books in this series. which is wonderful if kids get hooked on it. Ms.Mac is back on and off as well, and the second book, Friendship According to Humphrey, introduces a new pet - Og, the frog. Set around traumatic events in history, the book is fast-paced with the story moving forward ever so rapidly to let the protagonist meet the conflict head-on and overcome it successfully. Each book has its own set of characters in the time period and place, but what they all have in common is a child protagonist with pluck and grit who manages to survive a true-life incident. Brother-and-sister Dan and Amy Cahill are orphaned but are entrusted with guarding the most powerful thing which cannot fall into the wrong hands. I could have lived with the commercial production with multiple revenue streams, but the stories and the characters are bland and stereotypical and one-dimensional. Moral ambiguity, conflicts, growth in the young characters as they pass through the story arc is what makes books like these more enjoyable as a series. The first couple in the series were all right but soon it got tiresome to read. So, we reserved these as audiobooks for long road trips. Hank, with two good friends, undergoes the usual struggles of an underachiever who has some challenges in learning and conforming. However, Hank is kind and resourceful, not snarky and loud-mouthed. There are quite a few books in this series. Life in school can be a struggle for kids like Hank, but with steadfast friends who don't make a big deal of his issues, school can be exciting as well. I must admit, I only picked this up as I was curious about what The Fonz came up with. 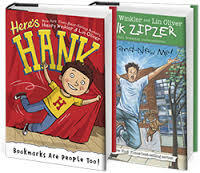 Yep, the creator/author is Henry Winkler, the Fonz of Happy Days. Along with Lin Oliver, Winkler provides an insight into his younger days when learning disabilities were not recognized and kids were subject to learning methods which killed the joy of discovering the world around. Choose-your-adventure type stories can be horribly appalling or pleasantly amusing. This book seems to fall under the latter category according to the kid. It even inspired him to write his own Choose-your-path novel (by hand in a spiral notebook) with Crazy Dave and plants and zombies, with the reader as the main character choosing what happens at each stage and finding out if in the end the zombies ate their brains. by Paul Tobin, Jacob Chabot, Ron Chan et al. Each book provides a different adventure and is primarily appealing to the PvZ fans. I'd rather not overanalyze this set of books, they seem to make the resident 8 year old quite happy and that's all there is to it. Mr. Pants and his two feline siblings, plus his human mom make up this quick-to-read set of books that end well even if there is chaos all along the way. The cartoon silliness and the bright colors is one main attraction. After a recent bout of going through my Calvin and Hobbes collection at the home library, the kid seems to lean towards cartoons and comic strips a lot more these days. Of course, only about 50% of Calvin and Hobbes makes perfect sense to him, understandably. We didn't read it in order. Starting with Trick or Feet was helpful to get into the characters and find the silliness in their high jinks. Diary of a Wimpy Kid-like text and cartoon illustrations is one of the appeals of this series. There's a bit of inside humor and adventure and friendship that can be appealing as well, since the main hunt is for food -- the poor dog is always hungry! As for me, I did not particularly like this series, but, the kids did.The characters are nice enough, the story is simple enough but nothing held my attention as an adult, and it doesn't have to - the books are aimed at kids. The first book, The Stonekeeper, starts off with a bang and continues to roll fast-paced to a satisfying end, making us reach for the second installment almost involuntarily. It did bother me that the dad dies in the very first scene and the mom gets abducted in the very first installment of the graphic novel series, but, kids didn't seem to mind at all. They just went with the flow and kept reading till all the seven books were done, wanting more. 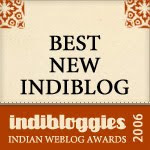 Our contributor, Sathish, has written some wonderful posts about this book already, so am not adding much more here. Quite the menagerie of characters here: Ariol, our hero, is a tween donkey, with a best friend pig, and a dog teacher. Originally published in French, the misadventures of Ariol are a quick and fun read. Since the character is a tween, some of the feelings he has are not easily understood by the resident 8 year old but the book has plenty of silly to keep kids giggling. Though not necessarily for 3rd and 4th graders, the first book or even the second book might appeal to some 3rd and 4th graders as it has plenty of silliness. The younger child got the first book (used copy) as a prize in school (I like that their class teacher gives out used books as prizes sometimes, rather than pencils and erasers and plastic toys.) He has read the first two books and that's where I left it. He may not get a lot of the issues that middle-schooler Greg Heffley faces but quite a bit of the humor is universal enough to keep him giggling aloud and bring it to share with me. My 9 year old absolutely loves the Wimpy Kid series and this book was a lot of fun for him. He couldn't put it down. He has had so much fun writing and drawing in this book. A great companion book for Wimpy Kid book lovers. Would make a great present.